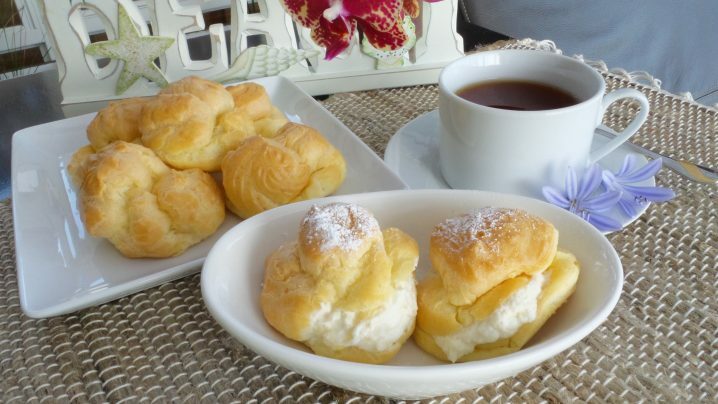 Break up the durian pulp with two forks. 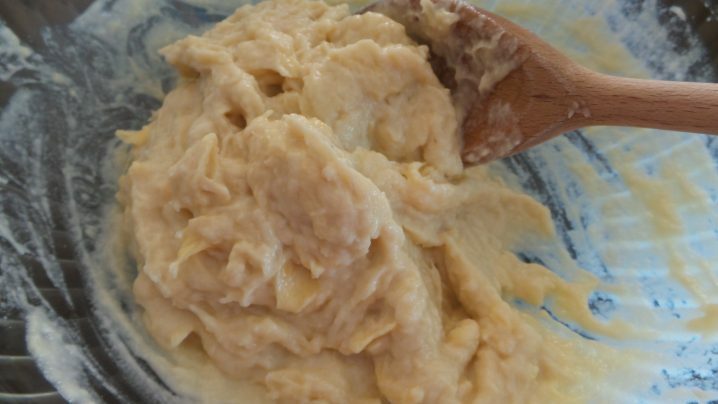 Mix the durian pulp, milk, and maple syrup in a medium bowl with a wooden spoon until incorporated. 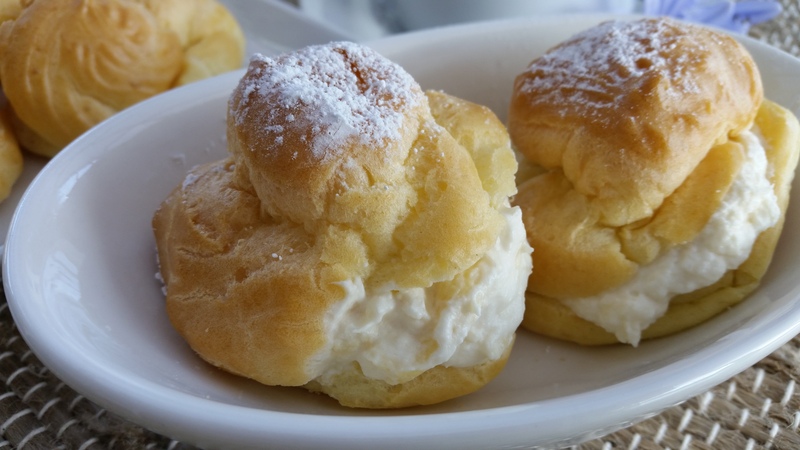 Fold durian pulp into the whipped cream. Cover tightly and chill in the refrigerator until ready to use. 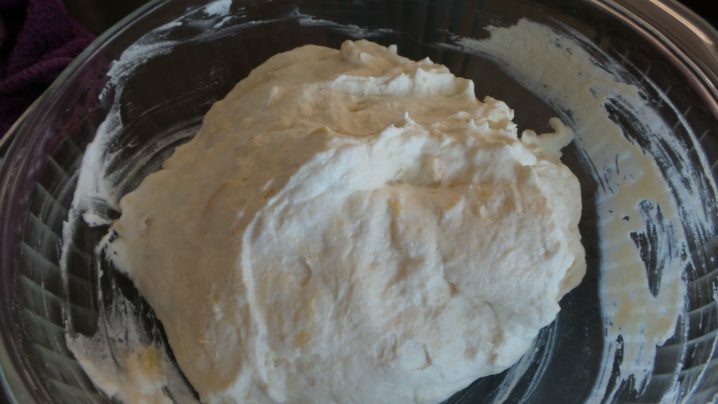 Sift flour and baking powder together in a medium bowl. Bring butter and water to a boil in a pan. Stir in flour mixture all at once and cook till mixture is smooth and leaves side of pan. Remove from heat and cool in the bowl of a standing mixer. 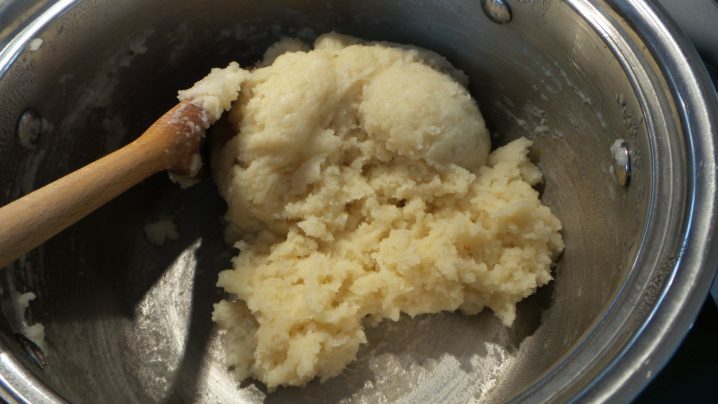 When dough is cooled, preheat oven to 450 degrees F.
Beat eggs, one at a time with the dough in the standing mixer until the mixture is smooth and shiny. Pipe the batter onto a non-stick tray in small heaps. Leave 1 inch spacing apart. Bake in 450 degrees F oven for 15 minutes. 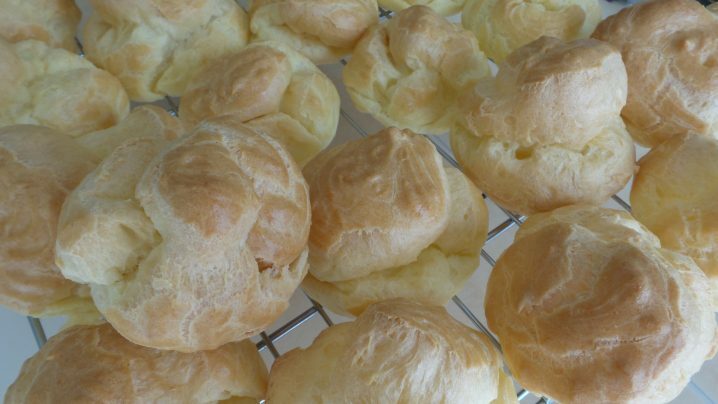 Reduce heat to 350 degrees F and bake for another 15 minutes till puffs are golden brown. 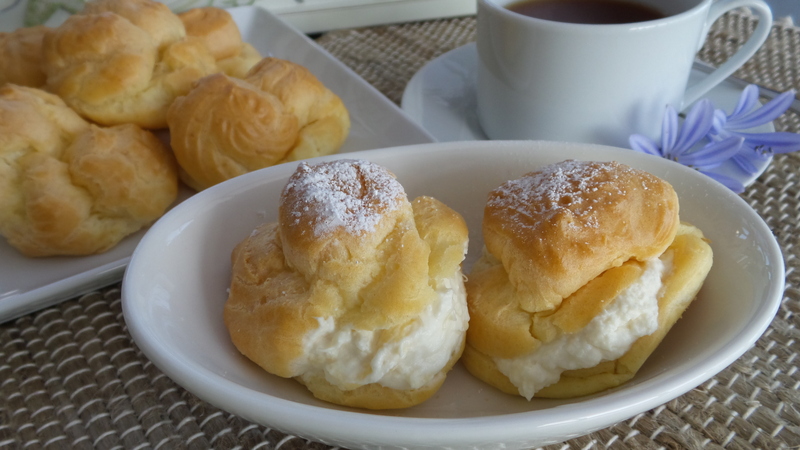 Split puffs at sides and fill with durian cream.